The Hindi dubbed version of “Sarainodu” stood tall among the all Indian films on YouTube. It was viewed almost 81 Million times on a single YouTube channel alone and an overall digital view count is approximately 200 Million. Not only Sarainodu, but some other Hindi dubbed Telugu films also rocked it on the YouTube. This is predominantly because of the impeccable storytelling, the quality of our Telugu cinemas and of course performances of the Telugu actors. This opens the digital and Television market opportunities for Telugu films in North India. Medium budget film bags almost one-third of the budget given the perfect combination of all elements. This somehow reduced the financial burdens on Telugu producers. The trend now continues with the Allu Sirish’ ABCD (American Born Confused Desi). It has got good buzz among the trade circles. This film is a remake of super hit Malayali entertainer ABCD. Gold Mine Stars which previously acquired Sarainodu acquired satellite and digital rights of Allu Sirish's ABCD for a whopping INR 2.5 Cores. Manish Shah, the promoter director and chairman of the Gold Mine Telefilms informed he previously bought dubbing rights for Sarainodu, DJ, Yevadu, Julayi, S/O Sathyamurthy, Iddarammailatho, Happy, Parugu and other super hit Telugu films. For the first time, he bought Sirish’s film. 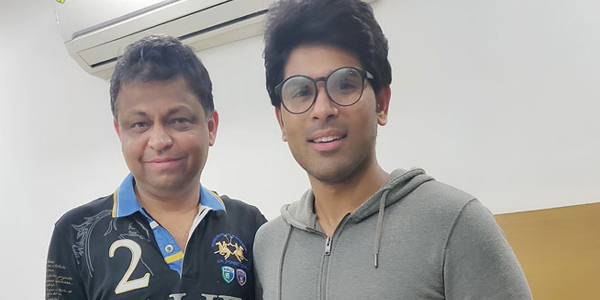 He feels that Allu Sirish’s ABCD will also impress the Hindi audience like Allu Arjun’s films as it contains good entertainment, emotions, and good music. The producer of the film Madhura Sridhar feels contented with the positive results for the movie in the Trade circles.